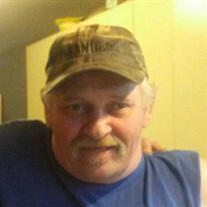 Earl S. Simms, age 56, of Lorain, died on Sunday, July 30, 2017, following a unexpected illness. Born November 11, 1960 in Lorain, where he has been a lifelong resident. Earl is survived by his sons, Earl Simms, Jr., of Lorain, Josh and Mitchell Bonecutter; brothers, George Simms. Larry Simms and David Keathley; sisters, Audrey Swart, Elizabeth Alexander, Virginia Wright, Alice Dryden, Charlotte Hall and Nana Velez; and several nieces and nephews. Preceded in death by his wife, Ann Bonecutter; daughter, Summer Bonecutter; parents, Kenneth and Ivy (nee Landy) Simms; a brother, Kenneth Simms, Jr.; Tim Burgett and nephew, Dalton Springer. Private services for the family were held. The Dovin Funeral & Cremation Specialists, 2701 Elyria Ave, Lorain handled the arrangements. To send online condolences go to www.dovinfcs.com.